Hosting a Tiger-themed children’s party? 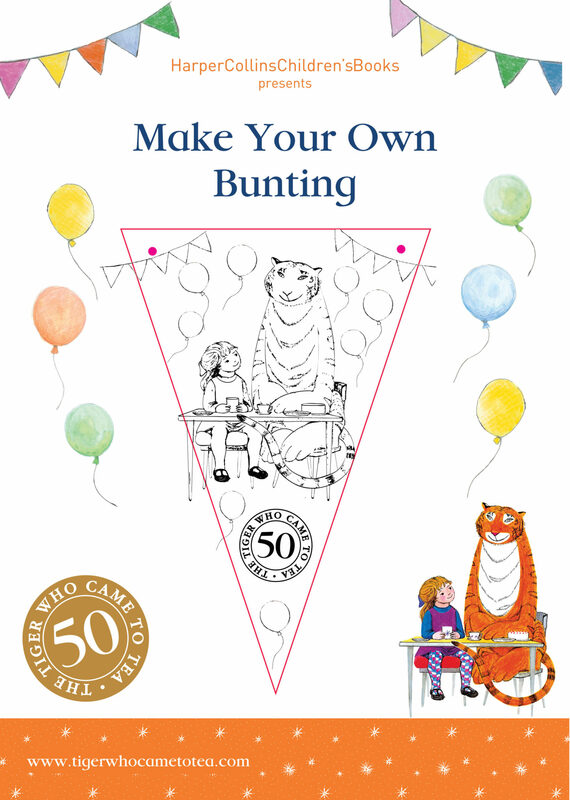 Download this template to make your own party bunting based on Judith Kerr’s classic children’s book The Tiger Who Came to Tea. You can also find children’s activities and party games in the delightful The Tiger Who Came to Tea Party Book.